Kitchens Are Monkey Business: Rosie Makes Suanla Tang Or Hot And Sour Soup Courtesy Of Mrs. Chiang. Rosie Makes Suanla Tang Or Hot And Sour Soup Courtesy Of Mrs. Chiang. 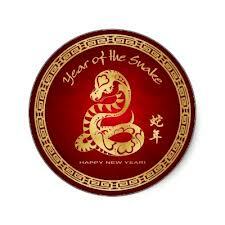 The Chinese New Year #4711 begins today, February 10, 2013. I offer you Hot and Sour Soup. the quality of their soups is not consistent. but I want authentic Hot and Sour Soup. Enter Mrs. Chiang's Szechwan Cookbook, my new BFF. the Hawthornes have been enjoying many of Mrs. Chiang's dishes. Now, back to Hot and Sour Soup. I truly hope I can do Mrs. Chiang's recipe justice. because coagulated duck's blood is not available. and has the consistency of raw liver. the substance "tastes just as you would expect duck's blood to taste." Thankfully, I have no expectations and I'm not going there. with an exciting taste and unusual texture. that only a connoisseur would quibble about the duck's blood." So's I ain't quibbling 'bout no stinkin' duck blood. and add a little of my own spin on this soup. is the addition of eggs. but then I think back onto this family's life style. They would use the eggs to enrich a soup. This would be authentic Szechwan. so I was unable to procure dried lily buds. than for their slightly musty flavor. which I subbed for the dried tree ears. Rosie's Hot and Sour Soup With Help From Mrs. Chiang. A combination of dried and fresh mushrooms. I used dried black fungus, dried porcini, and dried paddy straw mushrooms. Just a few of each. For the fresh mushrooms, I used shiitakes, criminis, and baby bellas. I combined the dried mushrooms- black, porcini, and straw, in a small bowl and poured boiling water over to cover. Let the shrooms soak for at least 20 minutes. Do not discard the liquid. This is your mushroom likker. When the mushrooms are soft, slice into thin strips. Add enough water to the shroom likker to make a quart. Slice the fresh mushrooms into strips. Bring the quart of chicken consommé and quart of water and oyster likker to a boil. I used chicken consommé because I have quarts of it in the freezer. You could substitute low-sodium chicken stock or broth. Mrs. Chiang used no chicken stock or consommé or oyster likker. She used only water. That addition was my little riff. Slice the pork into slivers about 2 inches long and 1/8 inch wide. I put my pork in the freezer for about 30 minutes before slicing. You want the meat stiff, but not frozen. Heh. Twelve. Put 3 tablespoons of the shredded pork in the boiling water/consommé/stock. Let it simmer over moderate heat for 20 minutes. This imparts both flavor and body to the soup. Put the remaining meat shreds in a small bowl with a mixture of the tablespoon of cornstarch and two tablespoons of soy sauce. Toss to coat. Slice the bean curd into 1/2-inch slivers. After 20 minutes of simmering, add the mushrooms, bean curd, along with the salt, vinegar, wine, and soy sauce. Bring to a boil. Reduce to simmer. Let gently rumble for 7 minutes. Clean the scallions and slice into thin pieces. After the 7 minutes, add the scallions and the rest of the meat to the pot, stirring the soup as you add the meat so the pork strips don't stick together. Let gently boil for 2 more minutes. While the soup is cooking, beat the eggs. Combine the cornstarch and water. Mix well. After 2 minutes of boiling, pour the beaten egg and the cornstarch mixture into the soup, stirring as you do so the eggs will form shreds, not lumps, while cooking. When soup is slightly thickened, remove from heat. Stir pepper into soup and serve. Have extra vinegar, pepper, scallions, and sweet chili sauce on hand if one wants to doctor their own portions. Here are the dried mushrooms I used. in the produce section of Harris Teeter. in Chesapeake last time we went up there. Just a few shrooms of each variety. Pour boiling water to cover the dried mushrooms. Let soak 30 minutes or so until they soften up. Just a few crimini, shiitaki, and baby bella mushrooms. my mushroom likker and enough water to make another quart. Here's the bean curd I used. Slice thinly and set aside. at the Piggly Wiggly in Manteo for $1.99/pound. when your meat is slightly frozen. add in about 3 TB of the pork. Combine 1 TB cornstarch with 2 TB soy sauce. Add remaining pork strips to soy/cornstarch mixture. 5 TB white wine, and 3 TB soy sauce. Gently boil for 7 minutes. and the chopped scallions ready. Stir to keep the pork from sticking together. and 3 TB cornstarch mixed with 3 TB cold water in another bowl. stir in cornstarch mixture and ..
not lumps, while they're cooking. Add in 1 teaspoon freshly ground pepper. A little drizzle of sweet chili sauce. I've had at Chinese restaurants are clear, thickened broths. but I prefer the clear broth I'm used to. I'll leave out the eggs. I want the clear broth. The eggs are not necessary. I prefer the clearer broth. when I poured in the eggs. or boiling if it needed to be to quickly cook the eggs. Mr. Hawthorne questioned adding the yolks. Mrs. Chiang's family kept chickens for food. including the yolk in the egg. I've made Hot and Sour Soup and it is very good. Rosie is quite happy with herself. We don't miss the coagulated duck's blood at all.